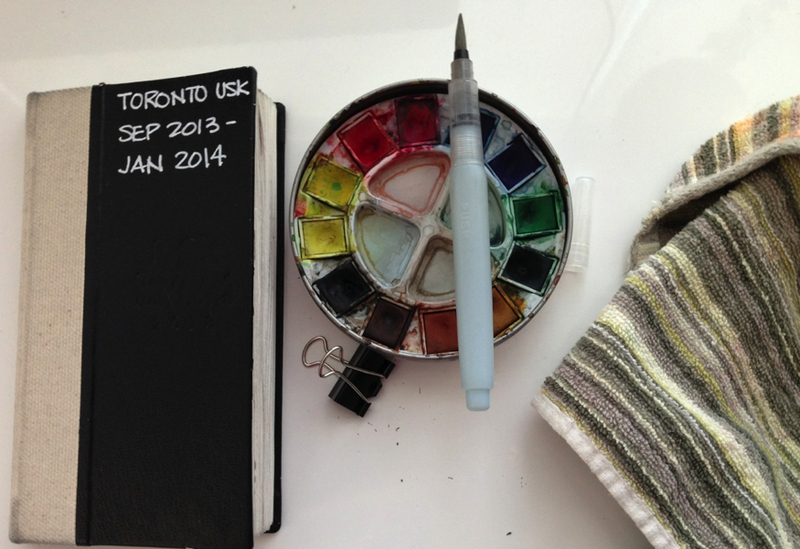 One of the to do's on my Creative List was to complete a urban sketchbook in Toronto. At the time I wrote that goal, I was still living in Ottawa. A couple months later, not only have I completed this task, I'm actually living there AND I met a bunch of great sketchers to share this passion with. 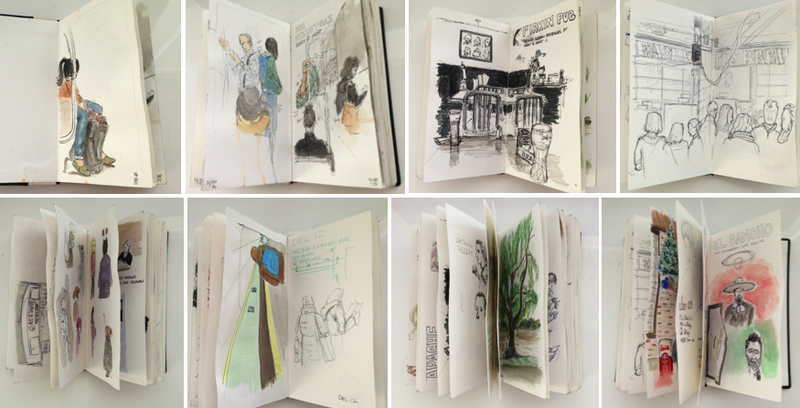 Sketchbook No 2 is already underway. I learned from other sketchers that it is always good to have two sketchbooks at hands when using watercolors as a medium so that one can dry as you're working on the next sketch. This is the type of little trick you learn while hanging around other sketchers. I hope to fill the next one before the end of the summer.